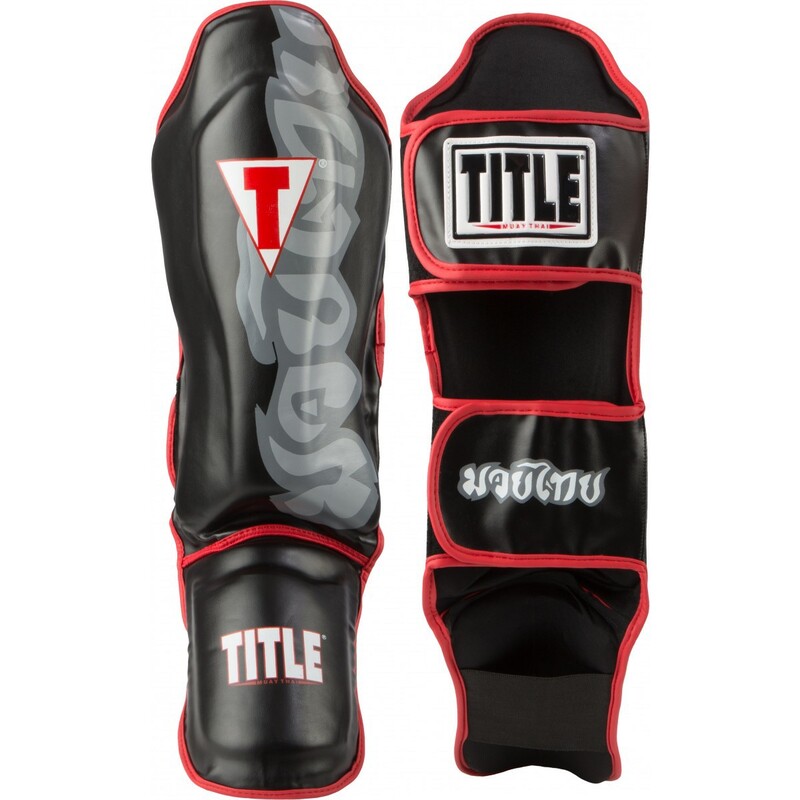 The TITLE Muay Thai line is optimized for power, performance and tradition with Thai-inspired design and craftsmanship. The premium Muay Thai Shin & Instep Guards are specifically designed to enable execution, delivery and shock-absorption during training. High-density, elite, multi-layer, anatomically curved, shock-absorbing padding is specifically manufactured to protect athletes from intense kicks during training and sparring. Additional foam rubber padding over the shin and instep offer all the coverage and comfort elite athletes demand during training and sparring. Two rear hook-and-loop security straps with elastic instep strap for compete security. These premium Shin & Instep Guards are outfitted with distinctive prints and screens for the highest in professional style. If Thai-inspired is your selection, then TITLE Muay Thai is your No. 1 choice.